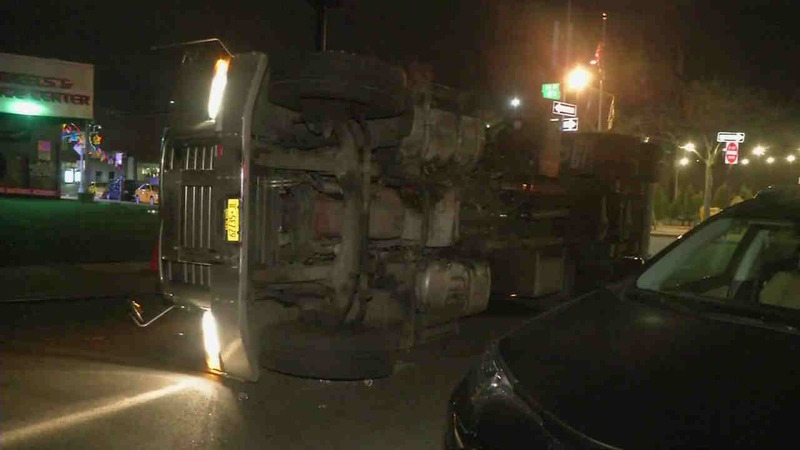 ASTORIA, Queens (WABC) -- A private sanitation truck overturned on a car in the Astoria section of Queens. The vehicle overturned at 47th Street and 34th Avenue just before 4 a.m. Thursday. No injuries were reported, but workers were trying to right the truck to move it.